North Lanarkshire’s five Citizens’ Advice Bureaus have been told they will survive after having their funding for this year cut. North Lanarkshire Council’s Policy and Resources committee voted to reduce the funding it gives to the organisation by £124,250. This is on top of the £86,000 in cuts it made to the funding North Lanarkshire five independent advice centres at February’s budget meeting for a total saving of £210,000. Councillor Stocks said: “Tough austerity cuts imposed from Westminster means that more and more hard-hit people are turning to the CABS and independent advice centres for help. 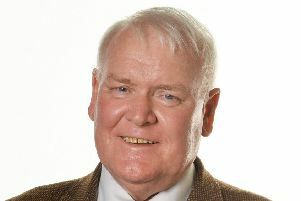 Council leader Jim Logue believes the CABs have been protected from austerity for long enough, and with the local authority having its budget cut by 3.4 per cent, funding cannot be provided to outside bodies to the level it once was. He said: “We have five CABs in North Lanarkshire and all have other funding streams they can turn to. “You look at Motherwell & Wishaw CAB, it has 33 paid staff costing £538,000, in an organisation that is perceived as voluntary. “The CABs will have to implement a degree of realism, they have been protected since 1996 and it is simply no longer good governance to let that continue. “This should have happened years ago and in a year when we had £31 million cut from our budget now is the right time to expect others to cut their cloth accordingly. Councillor Stocks amendment was defeated 9-6.